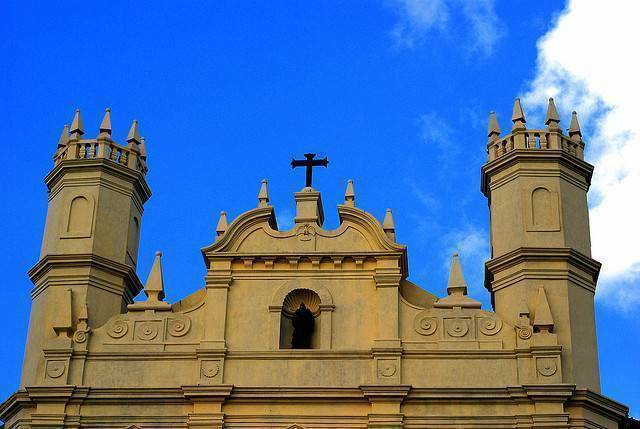 Church of St. Francis of Assisi is Roman Catholic church located in Old Goa, about 10 kms from Panaji, was established by Portuguese friars in 1517. The present building of the church was constructed in 1661. The church is a mix of several architecture styles, including Tuscan order, Baroque and Corinthian. The convent also houses a museum that contains artifacts that stand testament to the rich Portuguese and colonial history of Goa.